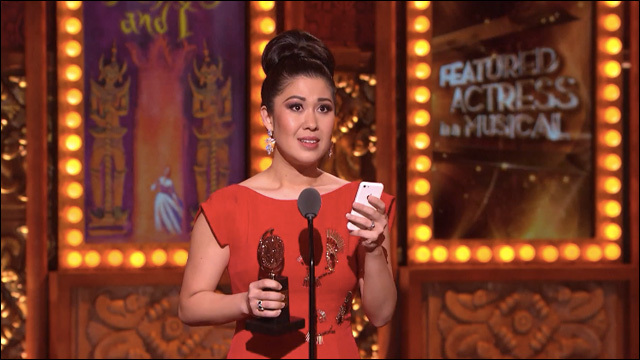 Last night at the 69th Tony Awards, Ruthie Ann Miles won the award for Featured Actress in a Musical for her performance in the Broadway revival of Rodgers and Hammerstein's The King and I. The Lincoln Center Theater's production of The King and I marks Miles' Broadway debut, playing Lady Thiang, the head wife of the King of Siam. Her previous Off-Broadway credits include Here Lies Love, Avenue Q, Two by Two, The Roar of the Greasepaint and The Smell of the Crowd. "Please recycle," she told the audience as she began her acceptance speech, which she read off her iPhone. 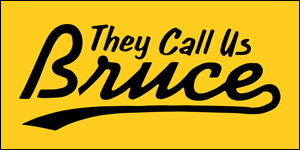 The King and I took home four trophies, including best Revival of a Musical, and star Kelli O'Hara won for Performance by an Actress in a Leading Role in a Musical. Ken Watanabe was also nominated for Performance by an Actor in a Leading Role in a Musical, for his role as the King of Siam.